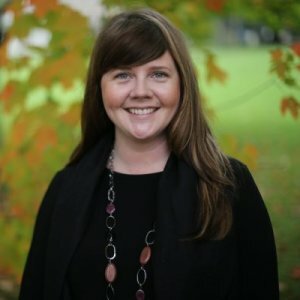 Melanie Lang is the Director of The Centre for Business and Social Entrepreneurship (CBaSE), housed within the College of Business and Economics at the University of Guelph. Ms. Lang works with other academic units and industry partners to amplify the applied learning opportunities for students. In this capacity, much time is spent meeting and collaborating with industry groups and organizations. Entrepreneurial initiatives include undergraduate course-based projects, an incubator program for youth-led startups, support for student competitions and conferences. Through her role as Director, she takes students out of the classroom and in to the community to investigate and propose innovative and sustainable solutions to economic, social and environmental problems across all sectors of society. This in turn, empowers a new generation of business leaders committed to community engagement and a sustainable future. The students are then instilled with a sense of social responsibility and leadership; two character-building values that CBaSE believes develop citizenship. This innovative and entrepreneurial approach to curriculum development along with the ability to seek outside the box for solutions has paved the road for creating a strong and active research presence in the local community. The success of CBaSE, in large part, is attributed to the progressive culture of Guelph and the receptiveness of the community.